You are here: Home / All / Visiting Heilbronn, Germany: What to see and why to go! Visiting Heilbronn, Germany: What to see and why to go! Even when I meet people who know Germany well, not too many of them know anything about the town I lived in – Heilbronn. To many who’ve driven around the south-west of Germany, the name is familiar only because two large Autobahns intersect there! Otherwise, it’s probably considered a bit of a non-descript town, but I really loved living there – and probably part of the reason for that is because it wasn’t considered a tourist destination. There was a large American base there for many years after the war, and a number of Americans who lived there like to return, but otherwise people don’t probably imagine there’s much reason to go. Planning to stay in Heilbronn? Search here for prices and availability for your dates. But they’re wrong! If you want an authentic German experience then I think spending some time in one of these typical German cities is a great way to get it. Heilbronn has about 100,000 people, so it’s not so small that it’s boring but not so big that it’s difficult to get around. There are several hotels right in the centre of town (the Insel Hotel lies on the Neckar River, and the Ibis is directly opposite the train station), and the S-Bahn (which I think of as a cross between a tram and a train) runs right down the main street. If you’re exploring the town centre, then you can’t miss Killianskirche, the large church opposite the town hall square. Killianskirche is famous for an intricate and impressive wooden altar (dating back to the 1400s) and its tower is used as the symbol of the city. The Rathaus (town hall) opposite is famous for being the place that I got married! If you look at the photo above, the wedding ceremonies take place in the room on the left on the first floor – you can see the window. It was beautiful (and according to my husband, so was I!). Heilbronn is also situated on the Neckar River, which might not be well-known outside Germany but is an important and busy river. You can take a ferry along the Neckar to scenic towns like Bad Wimpfen (my favourite medieval village ever!) and as far as Heidelberg. It’s a well-known wine region and the hills surrounding Heilbronn are covered in grape vines (as you can see from the Wartberg pic at the top). Also nearby – just along the Autobahn – is the Auto und Technikmuseum in Sinsheim, an absolute must for car and plane lovers and even pretty interesting for people like me. They’ve got a Concorde you can go inside, among other pretty cool exhibits.Other places to head from Heilbronn include Mannheim, Stuttgart (especially the Mercedes Museum) and of course the very pretty city of Heidelberg. In winter, Heilbronn usually gets an annoying amount of snow – enough to disrupt driving a little but not really enough to be spectacularly beautiful. So I’d avoid a winter trip, except for one reason – the Christmas markets. Personally I think late summer is the best time of year to be there and if you can coincide a visit with the Heilbronner Weindorf – the wine festival, held in September – then that’s ideal. The centre of the town is transformed with little wooden huts representing all the vineyards in the region and every evening thousands of people gather to sample different wines, eat traditional foods and enjoy the late sunset. If you’ve got any questions about Heilbronn, ask me below – I’m an enthusiastic supporter of for-a-short-while hometown. And of course I’ve still got some in-laws there. Yay for Heilbronn! Loved reading your description of Heilbronn. I’m contemplating a job offer from a well known company based in Heilbronn. I would love to have your take on living in Heilbronn. I like to have a life with things to do after work and during the weekend. Do you think that Heilbronn offers that? Hi Anon, and congrats on the job offer! 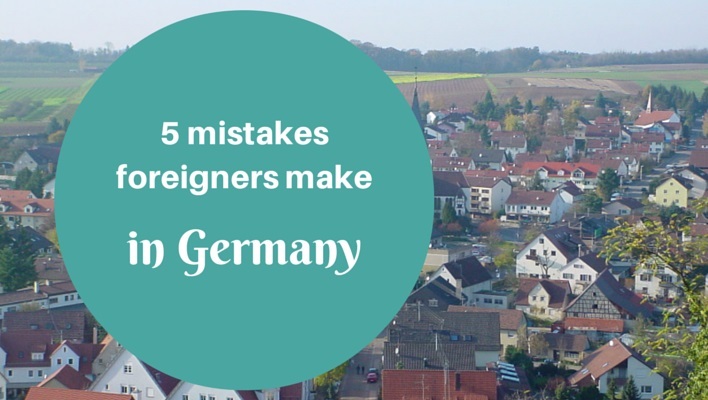 Personally I found Heilbronn a really nice place to live and I did have a pretty active social life in the evenings and weekends – mostly with other ex-pats though. There are a few good pubs and restaurants, though because it’s relatively small you do tend to end up going to the same places quite often. But it’s very close to Stuttgart and there’s a lot more action there. I guess to sum up – some people might find it a little on the quiet side – but I think there’s enough happening to keep you interested. Good luck and send me a private message through the contact form if you want some more details! Happy to read your writing. Lately i consider to do some particular things in Heilbronn for at least 2 years. Fantastic, I bet you’ll enjoy your trip! I just checked and Weindorf is being held 7-16 September in 2012. The full info is at http://www.heilbronn-tourist.de/hn_content.asp?hmg=2xx351xx0xx0xx0&lang=01 – I couldn’t find it in English but just use an online translator if you need more info (or ask me!). Viel Spass in Heilbronn!